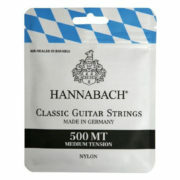 The following sets of guitar strings are in stock in store. 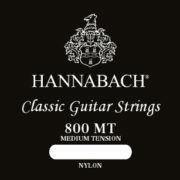 Hannabach Classical Guitar String Set "800" series. Black, medium tension. Clear nylon trebles and silverplated basses.